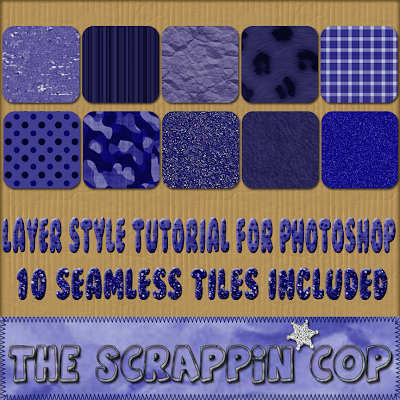 The Scrappin Cop: Layer Style Tutorial for PS and Denim Styles w/JPEGS! Layer Style Tutorial for PS and Denim Styles w/JPEGS! Today I have a layer style tutorial for PS. You can't create layer styles in PSE (unfortunately) and I wrote this using my program, CS3. Hopefully if you have an earlier version it will work for you too! And I am sooo sorry that I do not know what the shortcuts are for Mac, but feel free to download and see if you can follow along. The tutorial is in .pdf form and the cool thing is that I have included 10 seamless pattern files in greyscale to use as templates for your layer styles. The tutorial will walk you through creating a style using a tile that looks like glitter. I do not write many tutorials, because they are very time consuming and there are so many people who write them a lot better but I have had a couple of requests so I thought I would throw this togther. I really hope this helps, but if you have any additional questions feel free to email me and I will try to answer them! 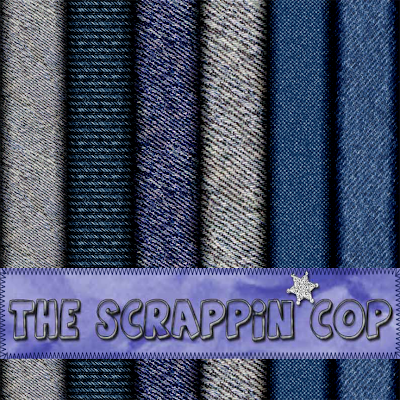 I also decided to include my latest style set, denim, and the denim jpegs created with them. The styles and jpegs are in the same .zip. If you do not use PS or PSE you can just delete the .asl file and use the papers. You are fantastic Deb..you really should sell your stuff! Wow! These are great, and I needed some camo! Thank you soo much for sharing with us! Thank you! Your blog post will be advertised on the DigiFree Digital Scrapbooking Freebie search engine today (look for timestamp: 02 Sep [LA 01:05am, NY 03:05am, UK 08:05am, OZ 06:05pm] ). How odd, I was just thinking yesterday how I couldn't wait to have time to start learning my program more, so I could learn to make my own styles and you give me a tut for it! LOL thanks so much!! You are AWESOME! Thanks for creating such a great tutorial. As a newbie, I need all the help I can get! What a treat! I've been wanting to get a denim layer style! The tutorial will be helpful as well - I've only created a couple of layer styles and that was mostly by accident. Thanks so much! Thanks so much for including the jpgs! And thanks in general for the goodies :-). I love blues and I love denim, but I'm not a PS user. So much appreciated. Thank you for the layer styles!! They are awesome as usual!! So glad to see a tutorial. Maybe I'll go sneak onto DHs computer and play around with PS. Thanks! FANTABULOUS denims darlin'! You have inspired me to be getting busy with my sequel to *Jeanealogy of a Man*!!! I think I shall name you the CU GURU!!! MASTER OF CU? LOL! Okay, you DEFINITELY are an endless supply of CREATIVE energy and MOJO and you just HAVE to know how MANY others you are assisting!!! 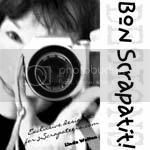 Have a GORGEOUS day SCRAPPIN' COP!!! I OBVIOUSLY forgot my manners whilst deeming you CU GURU!!! The seamless tiles are so great! They don't take up a ton of space on my hard drive, and yet I can make pages with them. Thanks tons! 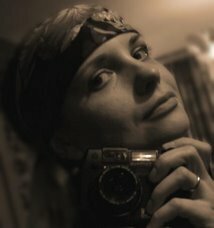 I love your PS styles and tutorials. Thank you so much! Thanks for the great denim! I'm not able to vacuum the floor, but I do some dusting with it while my husband has it out. When I was able to vacuum, I still did my dusting with it. But if I were dusting by hand, I would do that first, because dusting spreads more dust around than vacuuming does. Thank you, thank you, thank you! I have looked for this info and couldn't find it. I plan I looking at this tonight. You rock!!! This is awesome ! Thank you so much for creating and sharing this tutorial ! I am going to more than hooked ! You are simply fantastic ! thanks so much for the tutorial. I've been looking for this.